The Regent Aguila IronMan 70.3 Asia-Pacific Championship 2018, marked the 5th year of Sun Life Financial Philippine participation held last August 5, Sunday at Shangri la Mactan. 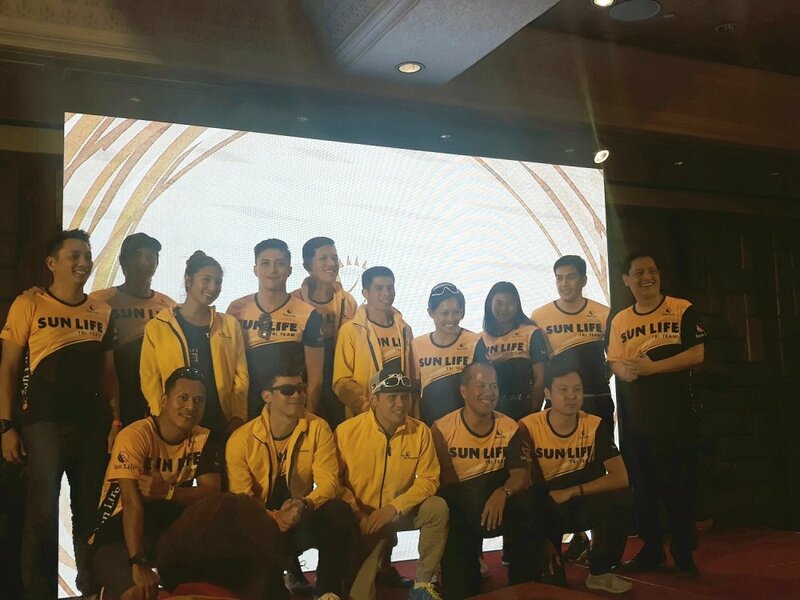 This year, Sun Life Tri Team is composed of four relay teams a total of 13 racers led by brand ambassador Piolo Pascual, new brand ambassador Enchong Dee and Sun Life executives. Once again, Piolo was on the bike leg competition, team up with Enchong for swim and his longtime friend, athlete Toniel Ty for run. Sun Life sponsored IronMan 70.3 because of its potential and a perfect venue for health and wellness. Since, Sun Life has been into health and wellness they wanted to helped their clients not only for a lifetime financial security but also, to live healthier lives. With the company’s goal and purpose, a year-old new product was introduced the “Go Well”for health and accident insurance and actor Enchong Dee is the Go Well Ambassador. Go Well is also available online, it’s a community wherein you can see Events, Fitness Videos, News letter, Rewards, Benefits and other perks: discounts for sports items.